The Western U.S. is coming out of a long drought and the atmospheric snow guns have finally replaced the artificial ones that were building our ski area’s snow base. With snow comes avalanches. 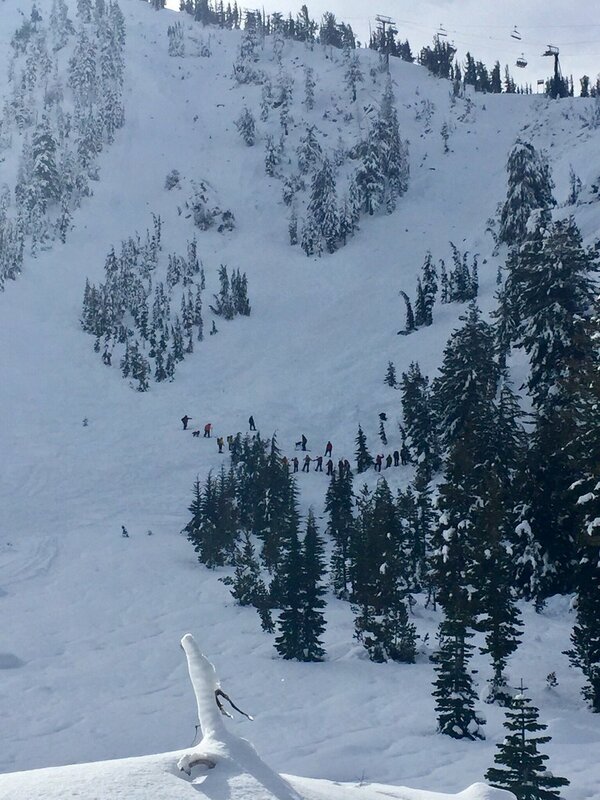 There were two avalanche fatalities in the West over the weekend: a skier in closed terrain in Mt Rose Ski Tahoe on Saturday, and a backcountry skier near Cooke City, MT on Sunday. We send our sincere condolences to all of those affected by these tragedies. Here in Colorado, there has been a stroke of divine luck, with a number of multi-party burials that resulted in profound learning lessons, rather than fatalities. 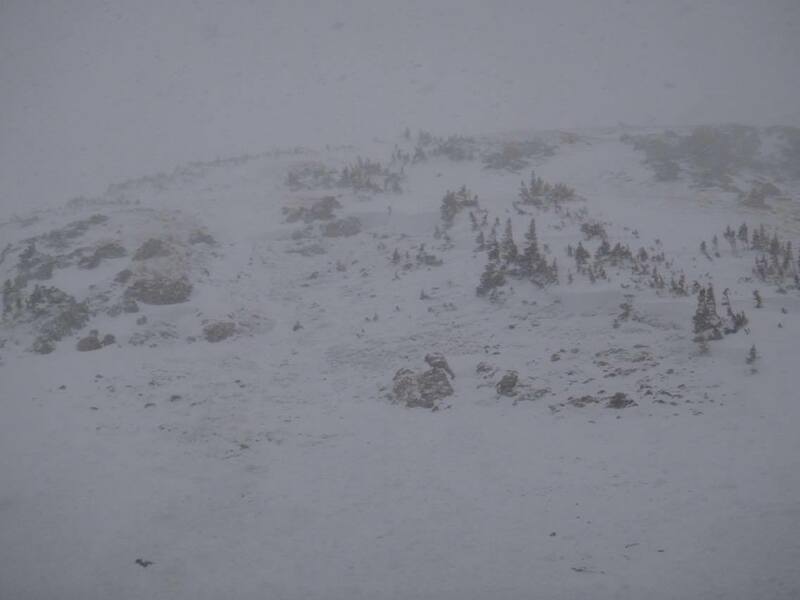 A trio of skiers in Butler Gulch, near Berthoud Pass, were all caught and buried on Saturday. Two of them were only partially buried and were able to rescue the third. On Sunday, a skier was caught in a slide near Red Mountain Pass and two snowmobilers were fully buried but rescued by their group near Steamboat. On Monday, a snowmobiler was buried near Crested Butte. Needless to say, avalanche season is upon us. The search area for the avalanche victim at Mt. Rose Ski Tahoe. Photo courtesy of Washoe County Search and Rescue. The Elk Mountains have been in a favorable zonal flow pattern since December 6th. 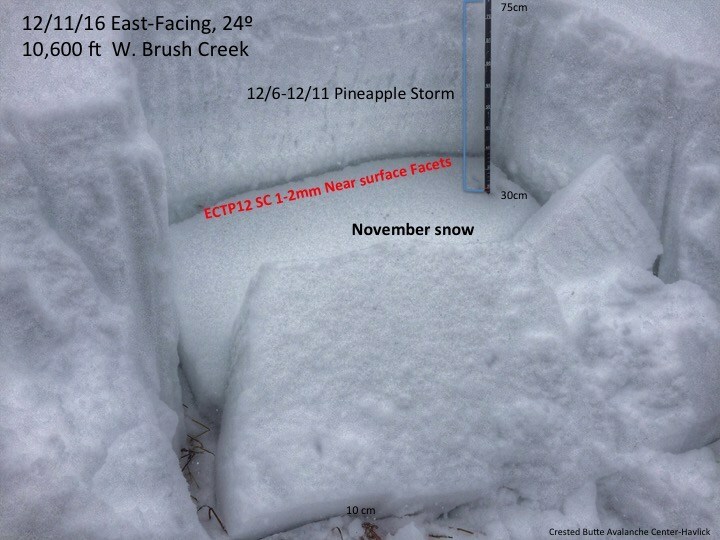 CBMR reported 18” of snow in the past week, and some of our backcountry areas have picked up almost twice that. More is on the way this weekend. Anytime we have periods of dry weather, especially early season, our snowpack develops weak layers. Once we start getting back into the storm track, those weak layers get loaded and stressed, creating avalanche concerns. Sometimes these avalanches can act in surprising or unique ways, like being triggered from long distances away or from flat terrain. This video demonstrates the challenging nature of persistent slab avalanche problems, where there is a cohesive slab over a persistent weak layer. A group of 3 skiers were buried in this slide in Butler Gulch, CO on Saturday. Photo courtesy of CAIC. It is easy to get caught up in the powder frenzy this time of year. We’ve all been itching to arc those graceful turns down powder filled slopes or throttle through deep pillows and faceshots. But we need to draw a line and stay behind it. One of my mentors up in Montana recently discussed how taking one step back from the line is insufficient. “To ensure a lifetime in the mountains, it is a matter of taking three or four steps back.” The CBAC got an observation yesterday, reporting signs of instability, which concluded with: “Suspect a successful tour could have been had with proper navigation today, but the instabilities spooked us, especially while navigating unfamiliar terrain. We opted to head home.” I applaud that kind of decision making. There isn’t any kind of steep or deep powder run that exceeds the reward of returning home safe at the end of the day. If you are new to the area or visiting, make sure you tune into our avalanche advisories at www.cbavalanchecenter.org. Our forecast team has been in frenzy the last couple weeks to keep tabs on the state of the snowpack. On Sunday, after a big pulse of moisture plowed through the night before, we had all three of our forecast staff up three prominent drainages surrounding our town digging into and documenting the snowpack to help aid in your backcountry decision making. Use our website and observations page as a resource! Give those guys a pat on the back for their often stressful and sleep deprived work during the holiday season. You can just sense the anxiety in Havlick's voice in this video, and I bet the poor guy hasn't done his laundry in 2 weeks now. And thank our ski patrollers at CBMR and respect roped off or closed terrain. Those guys and gals are working hard to mitigate avalanche hazards to get terrain open. Thank you for the update and for all of your hard work getting this information out. I really like you post good blog,Thanks for your sharing. i love dress and your style,thank for sharing.